What tools do you use for developing code? How do you compile or execute the code? How do you debug the code? How do you rename a function or variable across the entire project? How do you search for files that uses a function or class? Is choosing right tools important? 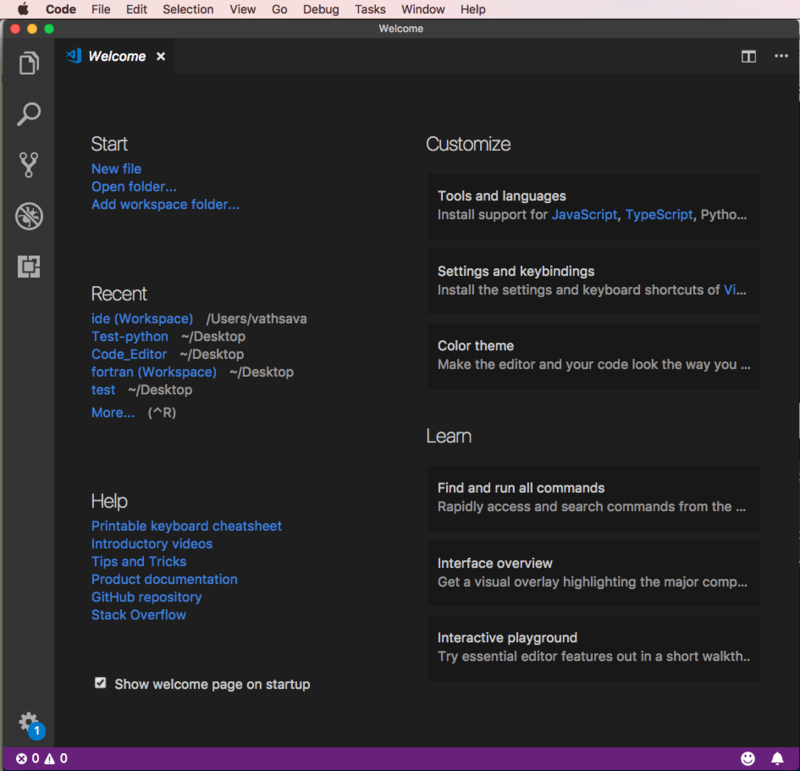 The pro is that an IDE really integrates features you need. 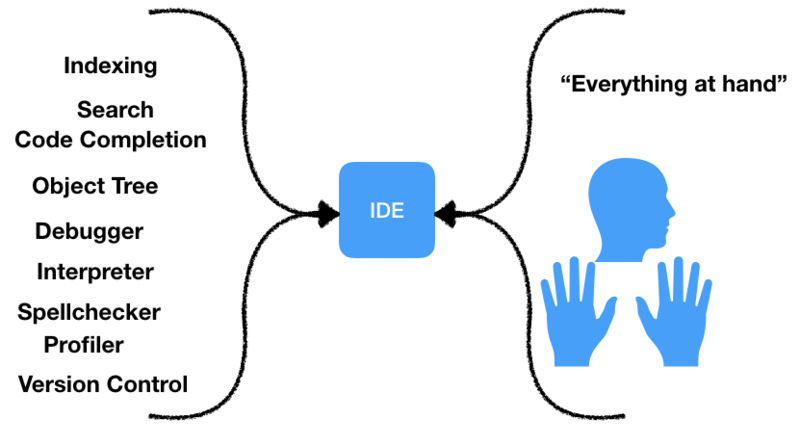 The cons is that you need to learn the in-and-outs of the IDE, especially the keyboard shortcuts, to reap the benefits. We are using a simple program that asks user input (integers) and prints the product of the given input. In this lesson we will give overview of a code editor and its functionality. 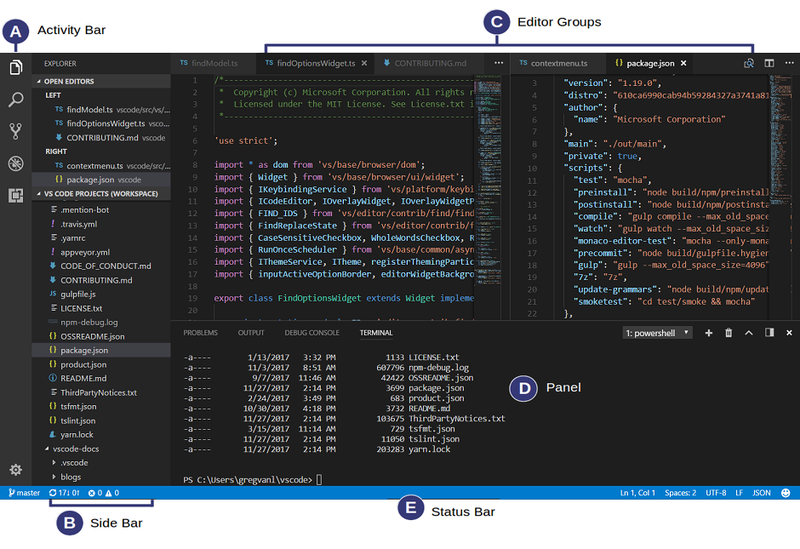 We have selected Visual Studio Code (VS Code) to demonstrate the use of a code editor. Note: Other code editors also offer similar features and support the functionality that we discuss in this lesson. 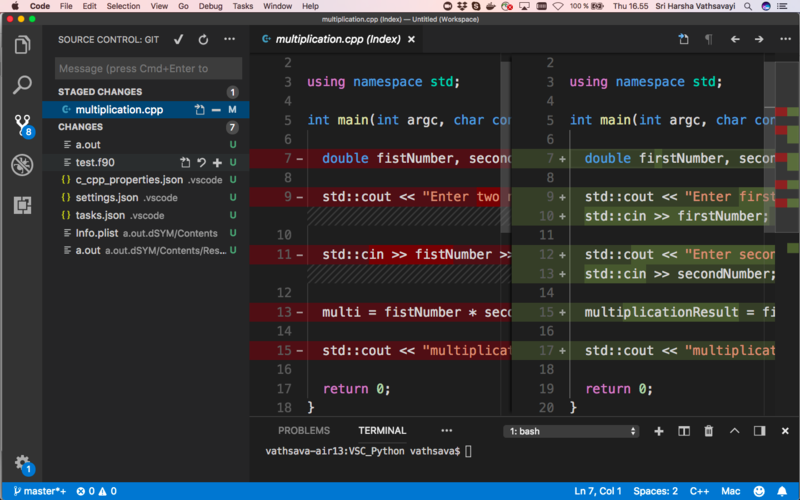 We start by opening VS Code. The UI is divided into multiple areas. 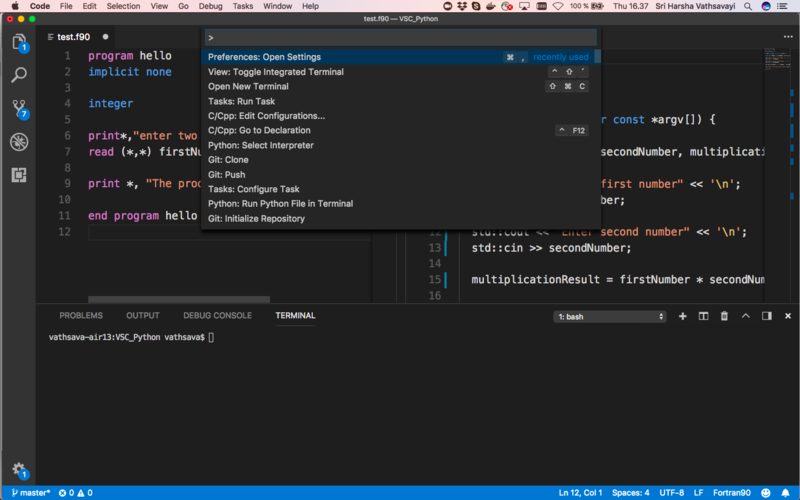 you can access all the functionality of VS Code, including keyboard shortcuts for the most common operations. For demonstrating VS Code we are using a simple program that asks user input (integers) and prints the product of the given input. The Python extension automatically detects Python interpreters that are installed in standard locations. You can also use the python.pythonPath in settings to point to an interpreter anywhere on your computer. print *, "enter two integers"
click Create tasks.json file from templates, and you will see a list of task runner templates. Select Others to create a task which runs an external command. Change the command in tasks.json file to the command line expression you use to build your application (for example gfortran). You can also change the label to be more descriptive.